The identity of the Holy Spirit has perplexed believers for centuries. What specifically does the Spirit do in our lives? How can we know the Spirit more deeply and tap into the Spirit’s power? Is it possible to be more aware of the Spirit’s promptings and speaking in our lives? The answers are bigger and better than you’ve dared to imagine. Because the issue isn’t whether we can grow closer to the Spirit but whether we are open to all the Spirit offers. And it begins with this realization that God is alive and well and indwells us. That’s the seminal idea and invitation behind world-renowned New Testament scholar Scot McKnight’s new book. Rather than a scholarly treatise or systematic theology, Open to the Spirit is practical exploration of more than a dozen biblical themes about the Holy Spirit. As you discover how to be increasingly open to the Spirit every moment of every day, it will change your understanding of the Bible; how you relate to others; how you approach worship; and how you experience victory over sin, sickness, and death. God’s desire is to transform us into individuals who demonstrate his grace, love, peace, and justice. If you’re open to that, then you’re ready for this radical life-changing message! SCOT MCKNIGHT (PhD, University of Nottingham) is professor of New Testament at Northern Theological Seminary in Lombard, Illinois. He is the author of more than fifty books, including the popular The Jesus Creed and recent releases, The Heaven Promise and The Hum of Angels. McKnight speaks two to four times per month across the country, including at venues such as Catalyst, Q Conference, and Willow Creek Community Church. Scot and his wife, Kris, live in the Chicago suburbs. "Frederick Dale Bruner once called the Holy Spirit the shy member of the Trinity. Scot McKnight draws on his learning and his life to help us know better the One who transforms and transcends mere human abilities." "This biblically rooted, honest, and impressively comprehensive account of the person and work of the Spirit should persuade all Christians everywhere of the need for more of the Spirit in our lives. It is exciting to have a book that brings together the Word and the Spirit, making such a persuasive case for the need of both and rooting it all in real life. It is a gift to the whole church." 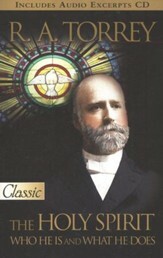 "Reading Scot McKnights latest book evoked within me a renewed openness to the Holy Spirit. Combining his usual astute biblical and theological wisdom with his accessible and down-to-earth stories and personal anecdotes, he whets our appetites to live more responsively to the Spirit. He reminds us that when we live wide-open lives to the Holy Spirit, we step into Gods world of newness and re-creation. May the Lord who is Spirit use this book to reflect his glory among his people!" 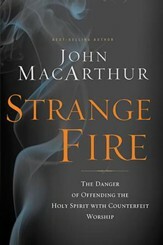 "McKnight has done it againhe has provided the church with a rich resource for personal and communal growth. 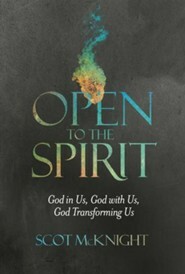 Open to the Spirit provides a guide for exploration into how God communicates, indwells, and empowers Christians for lives of holiness and mission." "In Open to the Spirit, the eminent New Testament professor and scholar, Scot McKnight, offers a breathtaking invitation to an interactive life with the Spirit. The Holy Spirit is often the most neglected member of the Trinity (unless you are Pentecostal or charismatic!). This book puts the Spirit front and center. As in all his works, Scot brings a balance of scriptural truth, sound theology, and practical application. I found this book particularly, of all of his, more focused on Christian spiritual formation and experiential transformation, which makes it an important book that should be required for seminarians, pastors, spiritual directors, and Christian educators. But then again, I cannot think of a single type of Christ follower who would not be blessed by this deep dive into life in the Spirit." "McKnight (The Blue Parakeet), a New Testament professor at Northern Seminary, makes a powerful case that Christians should refocus on the third person of the Trinity, the Holy Spirit. 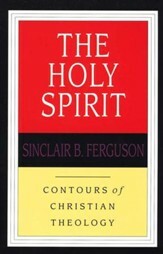 He contends that there is a lack of emphasis on the role of the spirit in the lives of many Christians. After using specific examples (for instance, Peters first sermon on Pentecost) to demonstrate the centrality of the Holy Spirit in all of scripture, McKnight suggests new ways of celebrating a spirit-filled existence through examples drawn from his own life. He relates personal experiences, such as his conversion during a high school Bible camp after reading the verse, "And be not drunk with wine, wherein is excess; but be filled with the Spirit." He also tells the stories of his students coming to the power of the Holy Spirit through "pursuit of the Spirits power to achieve victory." McKnight calls for Christian readers to receive love through immersion in the spirit, and then to live out that love in everyday life in this heavily scriptural call for deeper spiritual connection." "McKnight has created a rich mosaic of personal narrative, scholarly research, and biblical exegesis in Open to the Spirit. 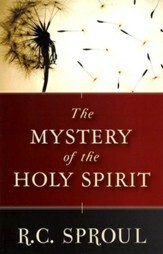 This book would be perfect for group studies, especially for those seeking more in-depth reading on the Holy Spirit. McKnight offers prayers and practical ways that readers can engage the Spirit as they go through their lives, encouraging readers to seek after that union with the Spirit that so characterized Jesus. 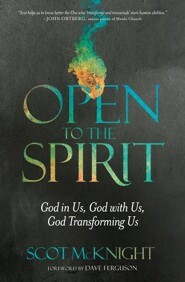 Open to the Spirit is also a book that can be read repeatedly due to the depth of its content on the Holy Spirit. 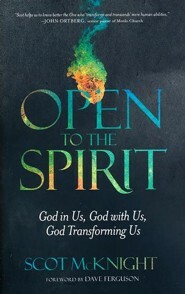 Through Open to the Spirit, McKnight shows us how the Holy Spirit is available to all believers, affirming Jane Kenyons words, "God does not leave us comfortless." I'm the author/artist and I want to review Open to the Spirit: God in Us, God with Us, God Transforming Us.